Hello my name is Lori Boyle I am the Owner/Director of the Superdog Spectrum. I LOVE DOGS but who doesn't. I have never met a human who hasn't had a dog, wants to have a dog or is just interested, on some level, in this wonderful species. I have worked with and trained dogs since 1972 thanks to my grandfather William Bennett and his Beagles. He sparked the interest that has driven me throughout the years, to understand and obtain the ability to communicate with these wonderful creatures. He was a firm believer in positive training and he passed that belief on to me. I believe we need to find our pathways of communication with each dog we share our lives with. This is what we strive for at the Superdog Spectrum...communication. Lets face it, anybody can make any dog do anything, the real challenge...is can we get them to want to do it for themselves. This was a significant dilemma everywhere I went, humans not able to communicate to the beautiful creature beside them. 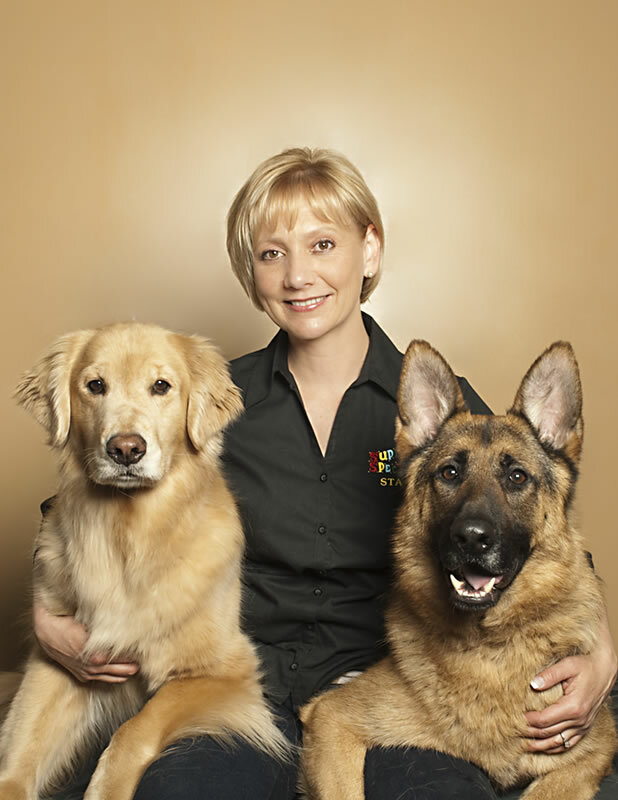 In September of 1998 we opened our doors to the dog lovers of Calgary and surrounding areas. Since then we have taken great pride in developing new and exciting courses for you and your four legged family members to enjoy. We keep current on new and advanced methods of training. Our beliefs on training are to have fun, have patience, think positive, be fair, enjoy each other, learn from each other, remember love and friendship, keep in mind that he/she does not speak human, and finally, always see things from your DOG'S point of view. "The great pleasure of a dog is that you may make a fool of yourself with him and not only will he not scold you, but he will make a fool of himself too." Samuel Butler (1835-1902). I'll see you at the Superdog Spectrum!